1 In medium bowl, combine Hellmann's® Real Mayonnaise and all ingredients except salmon. Reserve 1/3 of mayonnaise mixture. 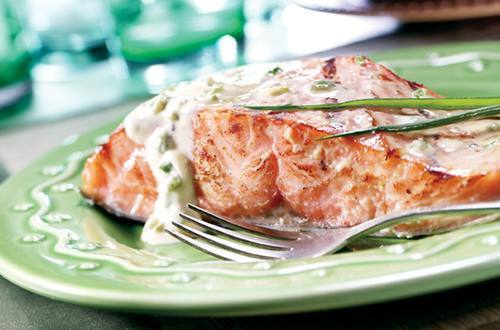 2 Grill or broil salmon, brushing with remaining mayonnaise mixture, turning once, until salmon flakes easily with a fork.